I love making and decorating simple cakes and cupcakes. Last week I got to make the cupcakes for Alli’s music recital. I kept it really basic since I was making 75. Cupcakes are the star, in my opinion, only if the frosting is delicious. It can cover for a dry cake or one that is just plain with no extra filling. Gradually add milk; beat at medium speed until light and fluffy. Don’t over-beat, though. For thin (spreading) consistency icing, add 2 tablespoons water or milk. For piping, I add 1 tablespoon. *To make the chocolate buttercream, add 1/2 cup cocoa powder. 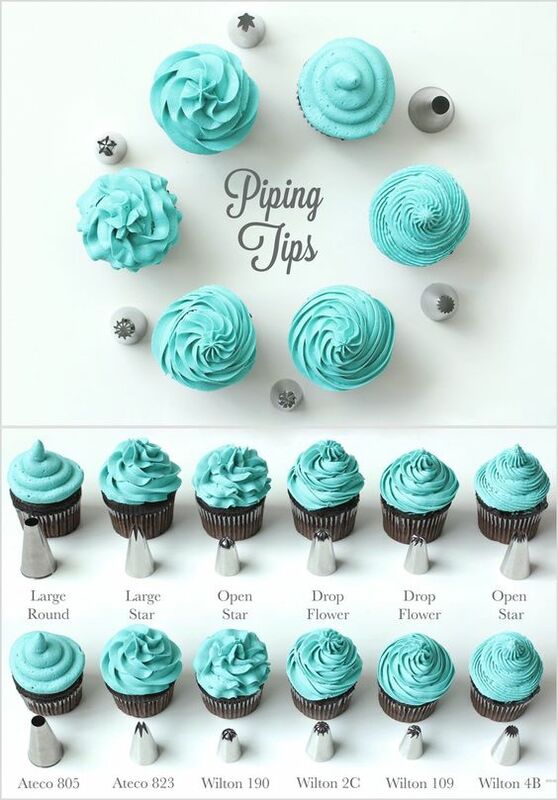 I spoon icing into a large piping bag and then, using the large star tip, I pipe the icing on. It’s faster than smoothing it on with a knife, and it looks so pretty! I like leaving a little border of the cake showing – it also keeps it from being too much icing. Aren’t the music note picks cute? Alli cut two of them with a paper punch and then glued them together with a toothpick in between, then we popped them into the icing. There’s an excellent guide here on the technique of adding a swirl design with your frosting. This cupcake stand was made by a dear man in our church at the time of Whitney’s wedding. Our church has used it many times since her wedding. It holds LOTS of cupcakes, but we just spread them out for the 75 and spaced them out on the rows. If you’ve never taken a simple cake decorating class, many craft stores offer them. I took the Wilton class when my girls were young, and it was really helpful in creating special cakes for birthdays, anniversaries and events. 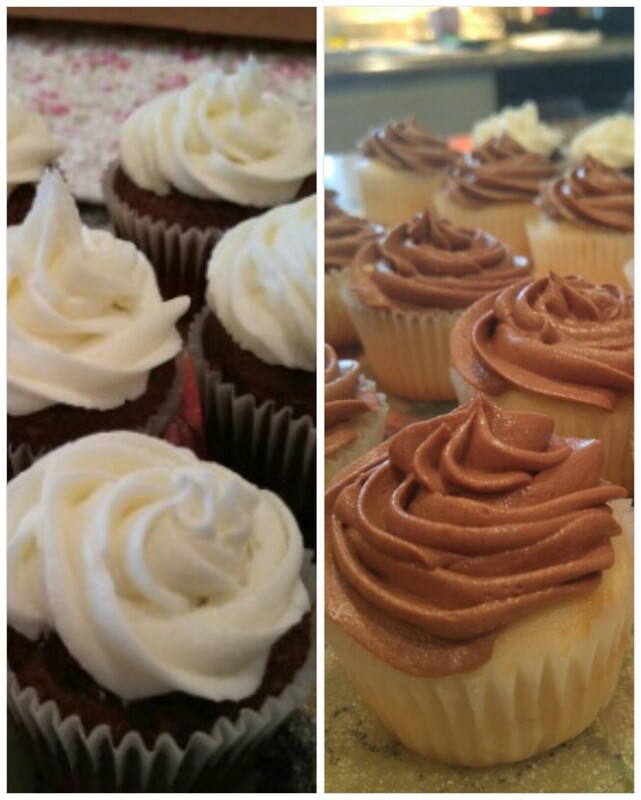 Even if you never take a class, you now have their yummy Buttercream Frosting recipe. It tastes good, no matter how it’s applied to the cake! I hope you’ll make it for your next cake! I think my favorite combination is chocolate cake and white icing. How about you? I love how that turned out! SO cute!